Imagine the following scenario: You have finally mustered up the willpower to work on that important sales report that your boss gave you, which is due tomorrow. You sit down, pull out your Mac laptop, and channel your focus on the task ahead. However, upon opening your laptop, you find that the screen is black and you are unable to see anything other than the white curser as you move it around frantically against the dark background. Sound familiar? If you are one of many Mac laptop owners who has experienced a similar situation, you know how frustrating it can be. Have no fear, though, because this tutorial will describe exactly how to fix the dreaded black screen on Mac. What Causes a Frozen Black Screen? This problem can occur for a variety of reasons, but Mac computers most commonly display a black screen due to glitches with system upgrades or updates, or as a result of some type of problem while restarting from sleep or standby mode. For example, a failed update may cause the computer to suddenly display a black screen. Often, users have found this to be the case, through realizing afterward that the update was not successful. Sometimes, users note that their Mac displays a frozen black screen unexpectedly and for no apparent reason. It is not known exactly why this occurs, unfortunately. However, the method shown in this tutorial should also work to correct a black screen due to these unknown errors. Before starting the procedure, it is a good idea to make note of some important considerations. First of all, figuring out the probable cause of the black screen may help you when trying to resolve the problem. The previous section can help you determine possible causes. If you cannot determine a cause, do not worry, as this step is not essential. Another measure to take, if you can, is backing up your Mac prior to starting the tutorial. This will prevent any loss of important files from the computer during the procedure. Again, if this is not possible, you may move on to the strategies outlined below. There are various strategies that may work, depending on your computer, so try out different ones until something works. Finally, to potentially save yourself some trouble, try entering your password for the computer. Despite the screen being black, sometimes you are still able to enter the password. For some users, this simple solution resolves the issue. Turn off your Mac by holding down the power button. Turn on your Mac while simultaneously holding down the Command, Option, P, and R keys. Hold these keys for at least 20 seconds before releasing. When you hear the boot chime, simultaneously hold down the Command, Option, P, and R keys. Release the keys when you hear the boot chime again. Turn on your Mac while holding down Shift, Control, and Option keys. Hold down the power button for 5 seconds. Restart your Mac while holding down the Shift key. When you see the login window, let go of the Shift key. Restart your Mac and see if the problem is resolved. Enter Single-User Mode by turning on the computer while simultaneously holding down the Command key and the S key. Type the command to run a disk check: /sbin/fsck –fy, then press Return. Type the command: /sbin/mount –uw /, then press Return. rm /Library/Preferences/com.apple.loginwindow.plist, then press Return. rm /Library/Preferences/loginwindow.plist, then press Return. Type the command: rm /private/var/db/.AppleUpgrade, then press Return. 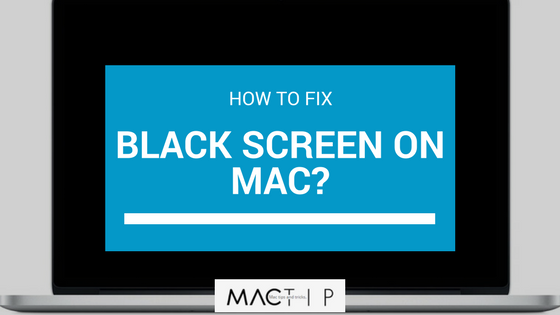 Hopefully this tutorial was able to help you resolve the problem of the Mac black screen. Use these strategies to avoid ever having to miss out on productivity again, due to the unnecessary obstacle of not being able to access your computer. Mac computers have so much offer, so do not let a black screen get in the way of taking advantage of this wonderful technology. If you are still experiencing problems after trying the methods laid out in this tutorial, there are many other sources available for troubleshooting the common problem of the black screen display on Mac.